Are there areas of life that feel like you are living the same old Ground-hog-day existence? Health, relationship, career? It's the same thing over and over, no matter how much you've pondered something different? The time for change is here. Do you believe it's time to break through past limitations or stories you've told yourself about what you deserve or can achieve? Gain clarity on what you really want for 2014. Use your conscious mind and intention in a way that really works. Identify what's really going on in your subconscious mind and what to do about it. How to keep your vibration high so you can attract and create what you want. Use a Daily Planner for Inspired Living© to create well-rounded and results oriented days. Use the THRIVE Method© to move from stuck to meaningful action in 20 minutes or less. This process is only found here! Pre-session worksheets to get the most out of our time together. Working on these alone will get you going! 1.5-hour session in person, on the phone or via Skype. Copies of my proprietary Daily Planner Pages and THRIVE Method worksheets. Special pricing on future coaching sessions. My unwavering support and belief in YOU. Act today. Your future starts right now! 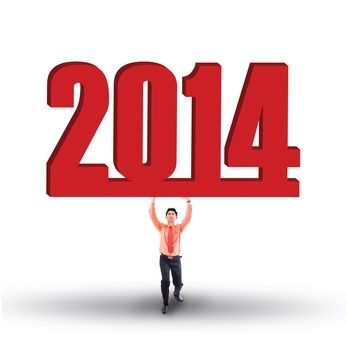 Start strong in 2014 with a Conscious Creation Strategy Session. You will get 1.5 hours of focused lazer stragetizing to get you moving forward on your goals for the new year. Limited time offer. Regular price is $197. Get information about living your most creative and authentic heart centred life. "If you've been trying make a change that is just not happening, it's because your subconscious mind has the lead role in the play that is your life. What it doesn't know is that you are the director and things are about to change!" It was really one of the most effective coaching sessions I have ever experienced. I highly recommend Linda to anyone interested in uncovering a richer, more meaningful life. I'm here and ready to connect with you.